Dare to move to a new city to start a company? 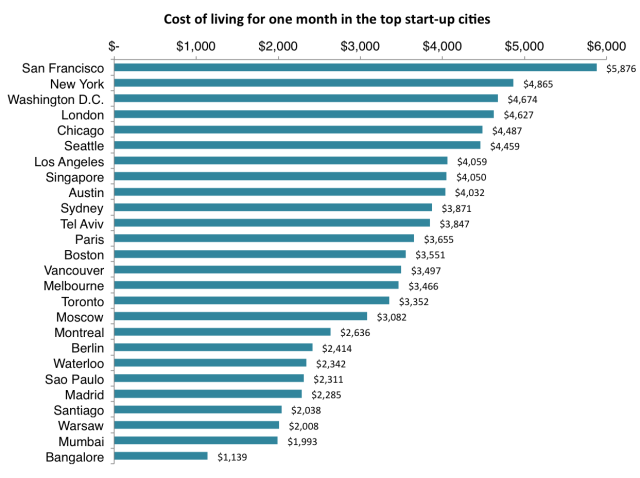 If you are curious about how much money you will need to save before making the move, the cost of living in the best startup cities in the world has been calculated for you. Startup Compass put together a data-driven report ranking the world’s top 25 startup ecosystems. The findings paint a picture of the international startup landscape – analyzing talent, ecosystem growth, access to capital, and start-up performance. These findings show how much it will cost to live in all of the top startup cities for a month. If you plan to visit one of the cities for just a week, the findings show that, too. San Francisco, not surprisingly, is the most expensive city to live in, while Banaglore is the cheapest. You will spend at least $1,000 more living in San Francisco than any other city on the list. Surprisingly you can live in Madrid, Berlin and Montreal for between $2,200 and $2,600 – very reasonably. 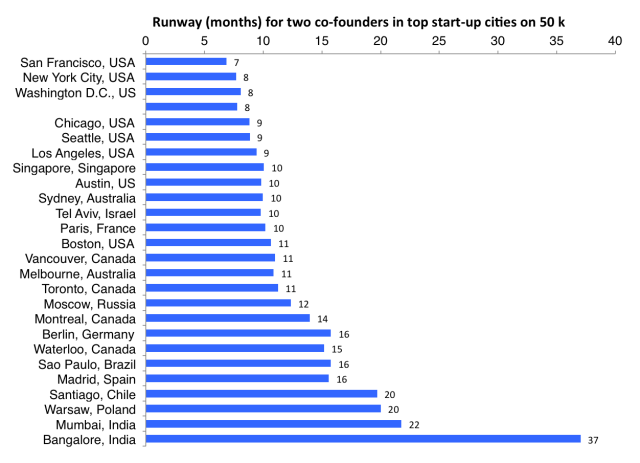 All three cities have been leaving quite a mark in the international entrepreneurship scene. Berlin has lately been quoted as “Europe’s next start-up capital“, because of its cool vibe, tech-savvy talent, and affordable lifestyle. The only thing keeping Berlin back is the lack of available funding. To find out the cost of living in each city, we looked at the top Airbnb rental prices, assumed you will eat three cheap meals a day, added the cost of renting a co-working space, included the monthly metro pass price and threw in the cost of eating oranges and bread as snacks. San Francisco has the most expensive bottled water, sold for $2.01 on average. If you love your cap­puc­ci­no, New York will be the most expensive place for you to indulge your craving. Madrid has the second cheapest rental prices on Airbnb, following Bangalore. London has the most expensive restaurant meals and also the most expensive one-way metro ticket pass. A bottle of beer costs less than $1.00 in Moscow, Berlin, Madrid or Warsaw. In contrast, Singapore, Sydney, Melbourne and Tel Aviv have the most expensive alcohol. 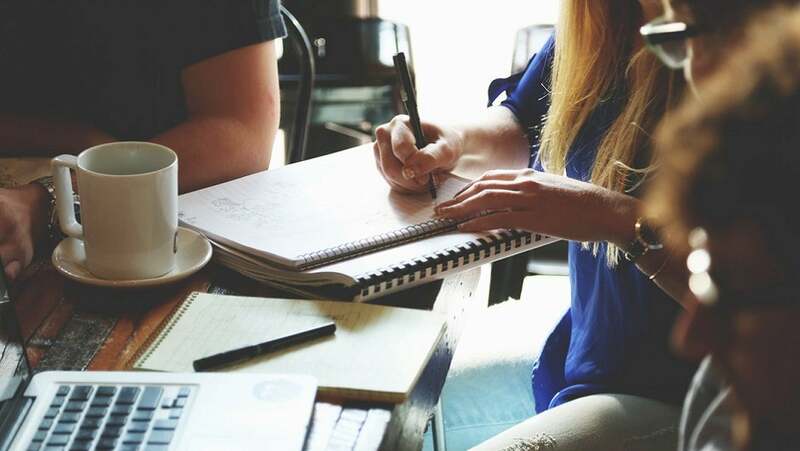 Santiago has the cheapest co-working desks for rent. The most expensive bottled beer sold for $4.00 is in Singapore. A McDonalds meal is the most expensive to buy in Tel Aviv at $11.94. Buying a bottle of Coke will cost you the most in Paris at $3.78. Berlin is the cheapest place to buy bottled water. 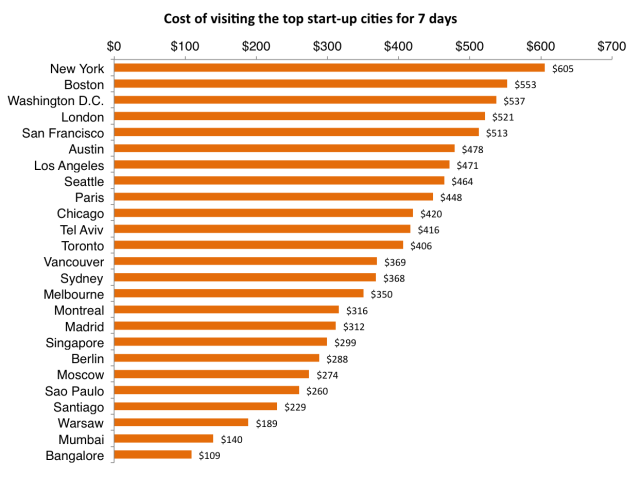 Visiting New York to network or raise a round of funding for one week will be the most expensive. Mumbai and Bangalore will be the cheapest to visit. While living in San Francisco is the most expensive, it is only the 4th most expensive city to visit after New York, Boston, Washington D.C and London. Berlin and Warsaw are the cheapest European cities to visit. To find out the cost of living in each city we looked at average price of one night in a hostel, assumed you will eat three cheap meals a day, added the price of a cappuccino that you will need to buy to use Wi-Fi at Starbucks, included the price of two metro tickets and threw in the cost of eating oranges and bread as snacks. If you and one other co-founder saved $50k, in San Francisco you will only have seven months before seeking alternative funding sources. In contrast, if you move to Bangalore, $50k will last you three years. Boston is the only city in America that you can live on $50k for more than 10 months on. The data for this analysis was acquired using ParseHub, a data extraction tool from Desk Surfing (for co-working desk prices), AirBnB (for rental prices), Hostels.com (for hostel prices), Numbeo (for food, restaurant and metro prices). Prices for rentals were taken in August, which is usually more expensive than any other months in the year. All costs are in USD and the top most expensive 10% of rentals were discarded. For a more detailed breakdown of how much each of the 25 top startup cities will cost to live in check out the rest of the analysis.